Austria officially known as the republic of Austria is the great destination for people who wish to settle abroad. People from various religions, culture and castes have migrated to Austria in search of better career prospects. The country is known as the hot tourist destination and attracts people from across the globe. Skilled workers especially from India aspire to migrate to Austria as the country offers lot of opportunities for skilled professionals. In order to encourage people aspiring to immigrate to Austria, the government has introduced Austria Red White Red Card to encourage skilled migration. Austria has launched a new immigration scheme in the name of Austria Red White Red Card to ease the immigration of qualified third country nationals and their families. Interested aspirants should have a view to settle permanently in Austria based personal and labor market related criteria. This card is granted for a period of one year and permits the holder to fixed term settlement and employment by a particular employer. The eligibility criteria of Austria Red White Red Card vary depending on the type of the category you belong. For instance, in case of very skilled professionals, applicants must score at least 70 points in Austria Red White Red Card points calculator. Besides this, applicants need to submit various documents such as health insurance, arranged accommodation and must hold sufficient funds to meet the requirements. Likewise other professionals must abide by their respective criteria to be eligible for Austria RWR card. 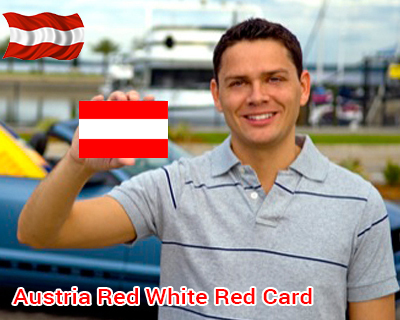 Austria Red White Red Card scheme regulates the immigration of skilled third country nationals to Austria as per the points criteria. To get an Austria Red White Red Card, applicants need to score adequate points based on certain factors such as academics, age, language proficiency and work experience. Every category has its own points criteria and depending on the type of category you need to acquire sufficient points to be eligible for Austria red white red card. Austria red white red card paves path for quicker immigration and a prior job offer is not required for candidates applying for Austria this card. So, interested candidates can apply for Austria RWR card provided satisfying aforesaid criteria. I am interested to go Austria. But I don’t know how to apply for….